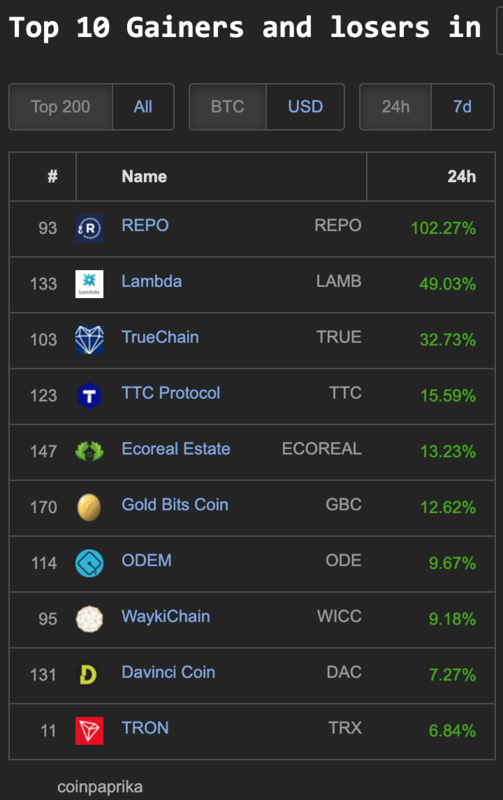 Bitcoin (BTC) is trading at 5240 about 60 USD less than yesterday—but is still holding support on some of the faster EMAs (9) on the daily chart. 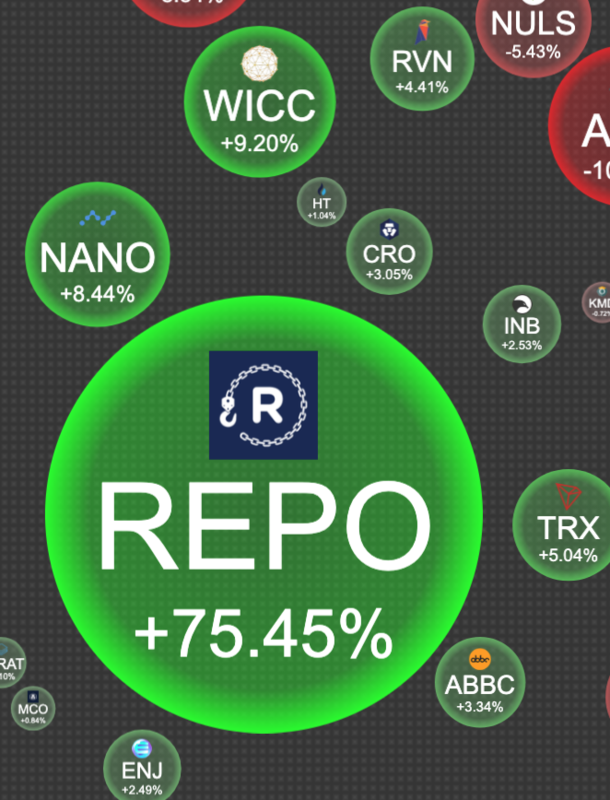 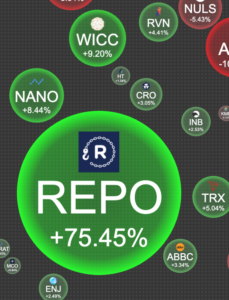 The top gaining crypto in the 100 market cap cryptobubbles.net today is: REPT (75%), WICC (9%), NANO (8%), RVN (4%), TRX (5%) and CRO (3%). 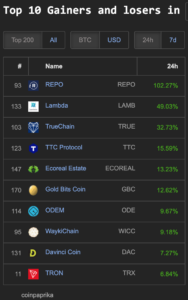 Leading within the 200 market cap on Coinpaprika.com: REPO (102%), Lambda (LAMB) 49%, TrueChain (TRUE) 32%, TTC Protocol (15%), Ecoreal Estate (ECOREAL) 13% and Gold Bits Coin (GBC) 12%. 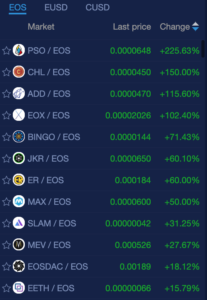 EOS coins have not lost their shine even on a lackluster day in crypto, as seen trading on NewDex.io with over 100% gains today: PSO (225%), CHL (150%), ADD (115%), EOX (102%). 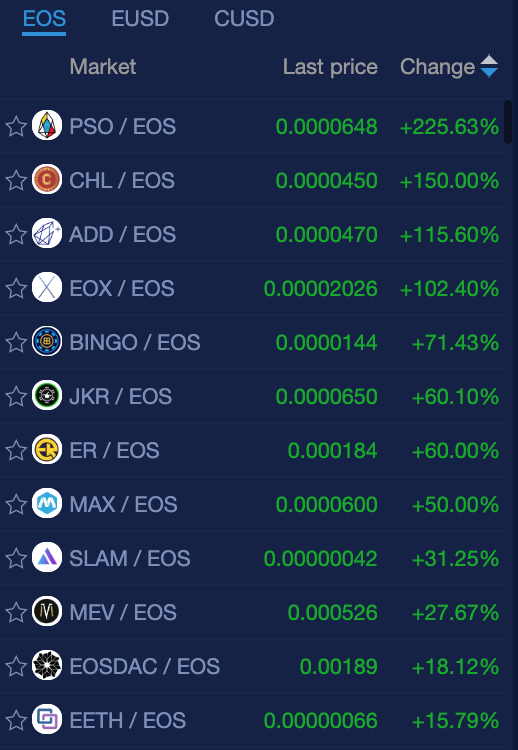 There are also 13 EOS coins with double digit gains as well—some of the non gambling coins/tokens include: EOSDAC (18%), EETH (15%), SEED (14%), ZKS (14%), ERO (13%), TPT (12%) and MUR (10%).